In space, Danny started to panic when he realised that---. The dinosaur broke down the rocket's door. What did it do next? 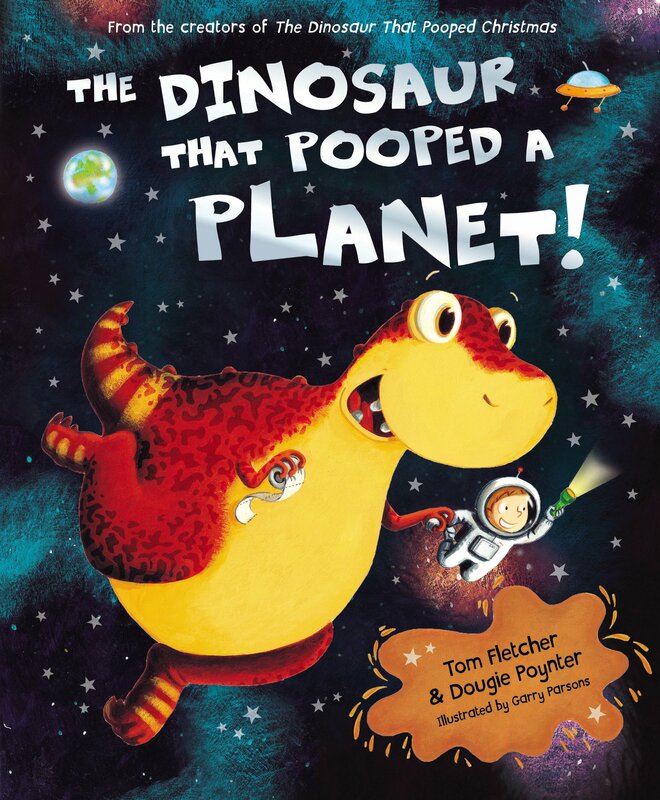 After the poop planet was formed, what came out of the dinosaur's bum?